CorkBIC has been a fantastic network for all of us here at Soundwave. We’ve learnt so much from attending and speaking at the events and meeting with other entrepreneurs. The support structure around CorkBIC has been great and has opened so many doors for us - we’ve even had the chance to meet with Apple founder Steve Wozniak as a result! The CorkBIC team and network have played a big role in helping us get Tweekaboo from an idea to a HPSU. I'd recommend any founder to meet with them as early as possible to accelerate the journey through feasibility and beyond. CorkBIC were excellent in preparing our business plan and in providing assistance to engage with and present to investors. In addition, the Entrepreneur Experience event attended in April 2014 was nothing short of outstanding and I can only give it my strongest recommendation for any entrepreneur lucky enough to be invited. It's really simple. If you have a great idea, Cork BIC enable you to create a great business from your Vision. If you have a business worth investing in, Cork BIC make investment happen aligned with your Ambition. If you have a great business that can scale, Cork BIC stand, shoulder to shoulder with you, to execute on your Capability with precision. CorkBIC has been an agent for change and collaboration within the Cork area since inception and they were key to getting institutions like IT@Cork , Angel syndicates and the NSC off the ground by working to bring disparate groups together for the common good. Without CorkBIC Compliance & Risks wouldn't exist. It's that simple. It's important to have at your side people who have 'been there done that' and who can recognise patterns so as to direct and challenge you, especially at the beginning. You're walking a tightrope and you need encouragement, structure and support which I was fortunate enough to benefit from, and which I am still very grateful for. CorkBIC is an incredible resource for start ups in the region. They have been a great resource to Inhance Technology over the past number of years and provide a real focal point for our company at our different stages of development. 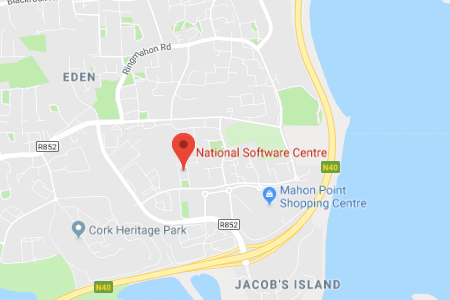 The team at CorkBIC have all built businesses and know how tough it is , they provide real support across a wide variety of areas that are all key to a companies success. Working with Cork BIC sharpened our focus and 'business pencil' producing a comprehensive Business Plan resulting in investment. Professional, friendly and always there for us, the BIC support was invaluable to get us started down the right the path and provides knowledge and experience as we push-on forward.